The collective move of the Philippines towards the 2023 Analog Switch Off (ASO) is signalling the country’s migration into Digital TV, as announced in a recent release. Technology is indeed very dynamic and in this era of convergence, TV remains to be a critical source of information for the public. The broadcasting industry is embracing innovation as it delivers news, information and entertainment. Upon the release of the Framework of the Digital Terrestrial Television Broadcasting (DTTB) Migration Plan in 2017, the broadcasters, manufacturers and content producers have steadily realised the potential brought about by the unprecedented growth receiver sales. The Plan is a comprehensive nationwide implementation strategy for the expedient migration from analogue to digital broadcasting come the ASO target at the end of 2023. TV households in urban centres in the regions of Central Luzon, Southern Tagalog, Metro Manila and Mega Cebu are benefiting from the migration being early adopters in terms of digital transmission signal availability and receiver penetration. 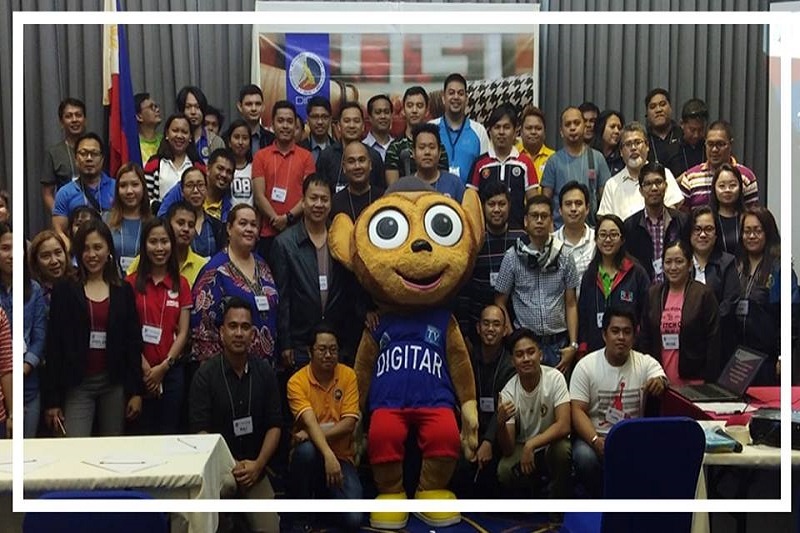 The Department of Information and Communications Technology (DICT) conducted Digital TV Awareness Seminars in Subic, Zambales and Pasig City, Metro Manila, a back-to-back engagement in Luzon. Discussion topics included policy and regulatory interventions, frequency spectrum assignment and antenna technologies. The Department is going around and conducting these seminars in order to spread awareness and information on digitalising TV. While going around, they bring with them Digitar, a mascot in the form of a Tarsier, a small primate that is found in the Philippines. Digitar wears a singlet inscribed with “#ASO2023”, which serves as a reminder to onlookers of the target completion of the migration in 2023. A Quiz Bowl, with questions pertaining to Broadcasting, was held in a different event in Cainta, Rizal. More than 250 participants from the academe came to event, which was followed by a seminar on Digital TV. The ongoing migration to Digital TV Broadcasting was also promoted through a Seminar in Banilad, Cebu City, where 150 Electronics and Computer Engineering students were in attendance along with several professors from the four different campuses of the University of Cebu (UC). The following day a different set of audience, this time from the local government units (LGU) were given the opportunity to be informed as well. This coming November, Cagayan de Oro in Mindanao will be the venue for the Regional Information Session, Stakeholders Technical Awareness Reach-out and Station Visit. This will complete the tour around the major island groups of the Philippines for this year. The promotion of the Digital TV migration initiative is part of the Public Communications Strategies of the Department in view of the Regional ASO by 2023. The Philippines joins the other countries in reaping the benefits brought about by Digital TV, such as High Definition (HD) programming, enhanced picture quality even when experiencing weak signal levels, and Emergency Warning Broadcast System (EWBS).